When we smile, we express the most positive of emotions, and it’s important to be able to do so with confidence. Your braces can help you achieve the level of confidence you deserve as you exude it to everyone you come into contact with. Thus it’s crucial to have access to the care you need to best ensure yours gets the job done. The team at Papandreas Orthodontics is here to offer you the emergency service you may need when you least expect it, helping you keep your braces intact and doing their job. Having braces doesn’t mean you can no longer indulge in your favorite foods. However, hard or sticky types of foods can cause the brackets to loosen, and this can cause pain as well as diminishes the effectiveness of your braces. These brackets, which are generally bonded with the teeth using an adhesive, act essentially as the handles that hold the wires of your braces intact. If loosening occurs, our staff can get to work examining your situation and making the determination of the best course of action to take in your unique circumstance. We make ourselves readily available to meet your needs even at the most inconvenient times. 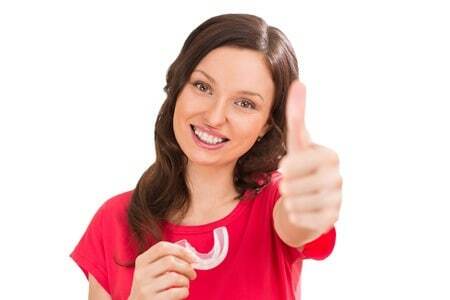 With braces, there are many components that can become loosened, and this includes the wires. Over time with repetitive chewing, the wires can sometimes slip out of the bracket, and this can be highly irritating and uncomfortable. Your experience wearing braces shouldn’t seem like a punishment, and we get right to work correcting this common problem. While we suggest you come to our office immediately when this occurs, if you chose to clip the wire, you should place a piece of gauze over the affected area to ensure you don’t accidentally swallow any clippings. We can provide a more permanent fix when you arrive at our office. Let’s face it. Your braces are composed of a variety of components that are foreign to your mouth. Therefore, it’s completely normal for you to experience irritation and mouth sores. This is especially true for those new to braces. When you first get braces, you will be given relief wax that you can use to place between the braces and the area of irritation to act as a buffer. However, sometimes the relief wax just doesn’t get the job done. To overcome persistent irritation or pain, our staff can make the necessary alterations to your braces to help you live more comfortably. Orthodontics have proven successful in providing a lifetime of genuine smiles for millions, and the investment you make in your braces is well worth it. The dedicated and experienced team members at Papandreas Orthodontics want to make the journey with you, and we are here every step of the way. When things go wrong, we are available to provide the emergency care you need, so don’t hesitate calling our office in North Royalton: 440-582-8585 or Brunswick: 330-558-9092.